For the regular smoothie drinker, it doesn’t feel like a smoothie until you have completely pulverized the ingredients into a creamy texture. Savoring every single flavor, distinguishing every ingredient mixed together to make the perfect blend- what could be more perfect? But getting a professional grade blender that can whip up the perfect blend isn’t so simple. The market is saturated with tons of blenders, some good, some bad but a few stand out for their unmatched efficiency and remarkable design. It pays to do your homework before you make a decision, especially when you’re shelling out a lot of money. If you’re looking for an excellent blender, Vitamix have you covered. There is no single way of determining the best Vitamix model, but don’t sweat it. We’ve put together a handy guide that should help you get the right tool for the right price. So without further ado, let’s look at the 10 best Vitamix blenders out there, and learn a bit about this popular kitchen appliance. in our buying guide! Why Buy a Vitamix Blender? Boasting a powerful and efficient motor, the Vitamix blender is powerful enough to act as a stand mixer, food processor, blender and juicer, all in one versatile unit. Vitamix blenders are incredibly tough! They’re made of high-quality materials that lend them to extreme durability. Being a versatile machine, it can take the place of a juicer, food processor and stand mixer. It is essentially a single appliance that does multiple tasks that could have otherwise necessitated a bevy of other gadgets. Which means you would have probably required more space for all your gadgets atop the counter. How are Vitamix Blenders Different from other Blenders? At a glance, it looks pretty much like any other blender out there. However, there are few glaring differences including having a two horsepower motor that can blend almost anything. 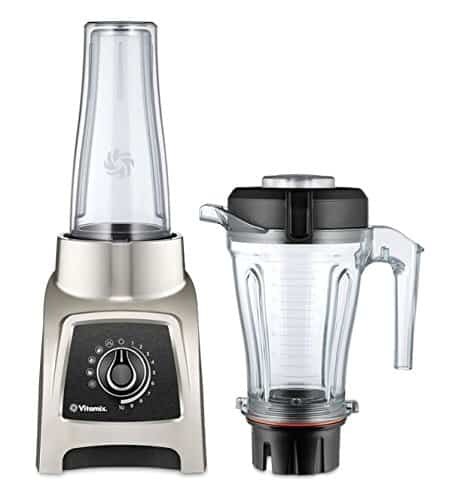 In addition, the Vitamix boasts aircraft grade stainless steel blades that help pulverize even the toughest of ingredients making it superior to most contemporary blenders you’ll find out there. The market boasts of a dizzying number of options and models, so you could easily get lost in the weighing up the differences in efficiency and power. Here are a few important pre-purchase considerations you should make before you part with your hard-earned cash. Capacity is a crucial factor when selecting a Vitamix model. Some blenders are geared towards high volume servings, while others focus on small size portions. Pay attention to the serving sizes to make sure you get the right blender for your needs. 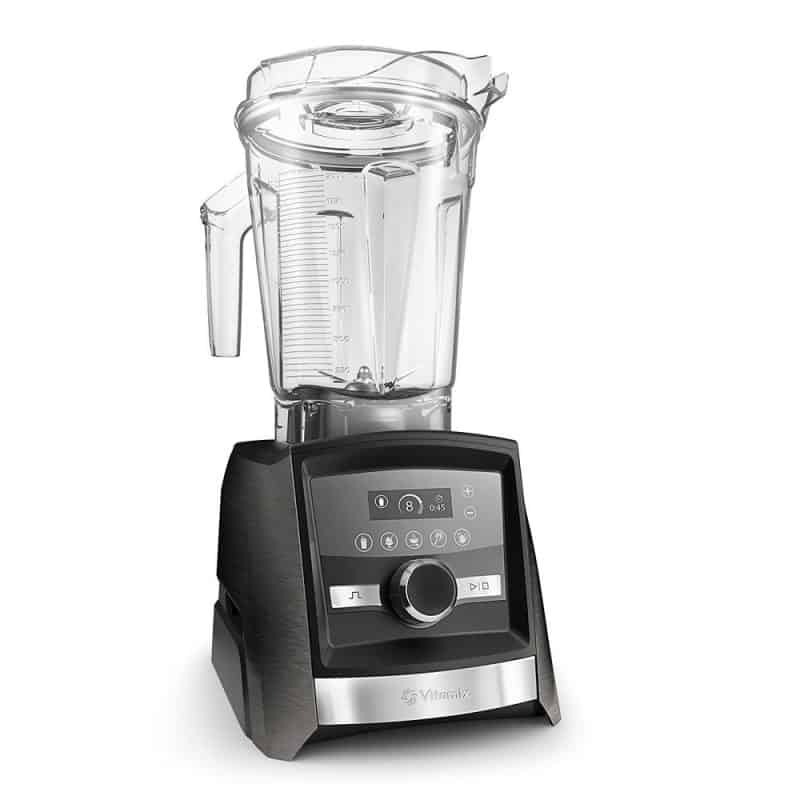 Vitamix blenders feature variable speeds from as simple two-speed settings to as high as 10-speed settings. If you want more control over your blend, look for a blender that has more speed settings. From tampers to cookbooks with recipe suggestions for you to try out, you can choose from a myriad of gizmos for your blender. These items range from decorative to practical, including additional containers that come in various sizes for different models. One of the most crucial factors to consider after speed and capacity is the power of the motor. The motor essentially determines how effectively your blender pulverizes ingredients and so it’s definitely something that you want to put into consideration. But generally, smaller blenders aren’t as powerful as much larger blenders. They feature a 750-watt motor which is only good for some salsas, hot soups, and smoothies. Large capacity models, on the other hand, feature a peak horsepower of over 1400 watts which makes them powerful enough to handle any tasty creation you want to make. Some models come with preset programs that allow you to set the speed and duration for the beverage you are preparing. This helps take the guesswork off of how to go about it manually and also allows you to get the exact texture you want. Some blenders come with built-in timers that clearly display the amount of time your blender has been blending so that you can assess whether the blend requires more time or not. Some even have an advanced timer that automatically switches itself off once the specified time is up. Like most other blenders on the market, Vitamix products come with a dial and digital touch-pad controls to help control speed and preset programs. The king of all blenders comes with a price tag to match it. However, while most top rated Vitamix units range from $469 to $719. You can find a decent Vitamix blender for sale for as low as $399. Settling on one Vitamix machine when there are hundreds of Vitamix juicer and blender models out there can be a daunting task. They come in a variety of amazing shapes, sizes, and variations, and separating the Vitamix knockoffs from the real deals can be a challenge. If you’re having a hard time choosing one blender that works, we have narrowed down the 10 best Vitamix blenders on the market right now. Anyone of these will be perfect for your needs. Equipped with a powerful 1200 watt motor, this 750 Vitamix model is hands down one of the best models you’ll find out there. This handy Vitamix pro 750 blender features five pre-programmed settings that ensure maximum convenience and consistent results. 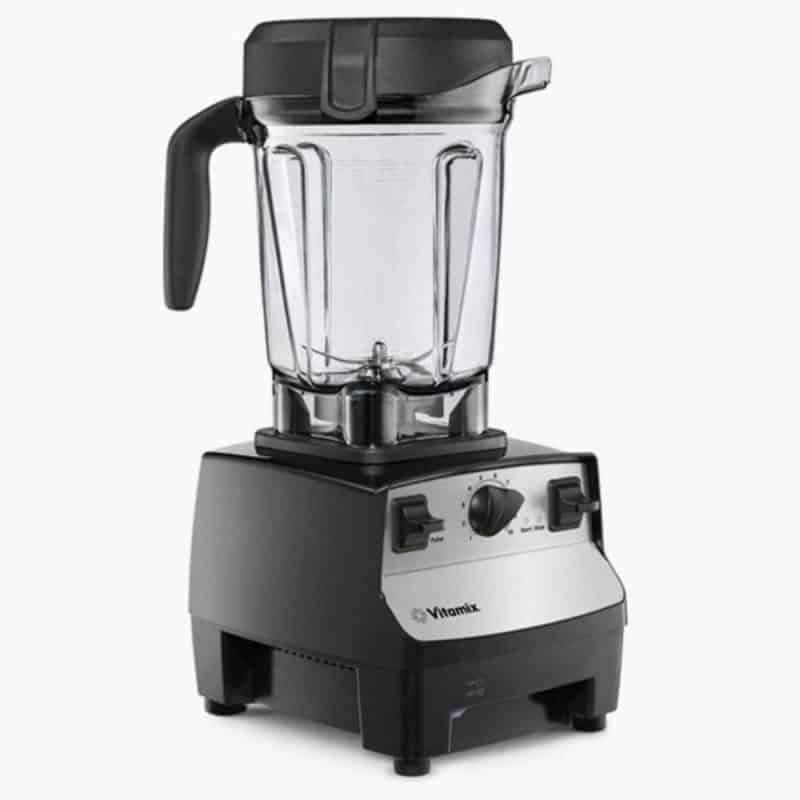 In addition, the Vitamix 750 also features aircraft grade stainless steel blades that cut through the toughest of ingredients to give you a smooth puree. Not to mention it also has a cool running motor that maintains cool temperatures so that the blender doesn’t overheat when blending harder ingredients. However, this would certainly not be your first pick if you are on a budget but it is worth every single penny you put into it. 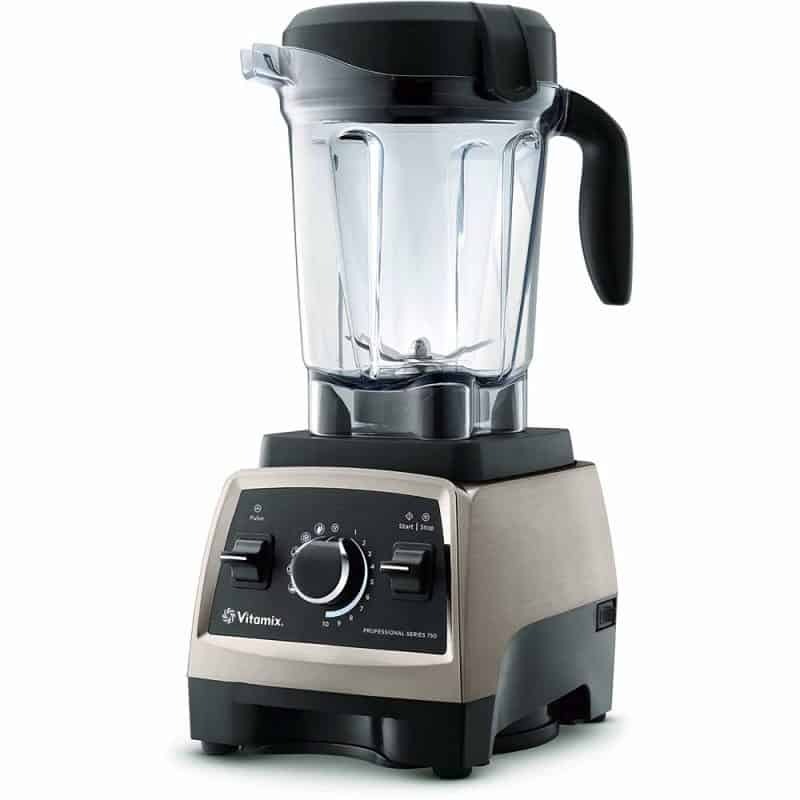 The Vitamix 5200 is one of the best pro-style blenders on the Vitamix lineup. It is a beast of a blender with a lofty reputation to match it. Throw anything in the jar and the Vitamix 5200 blender will pulverize it into the perfect puree. 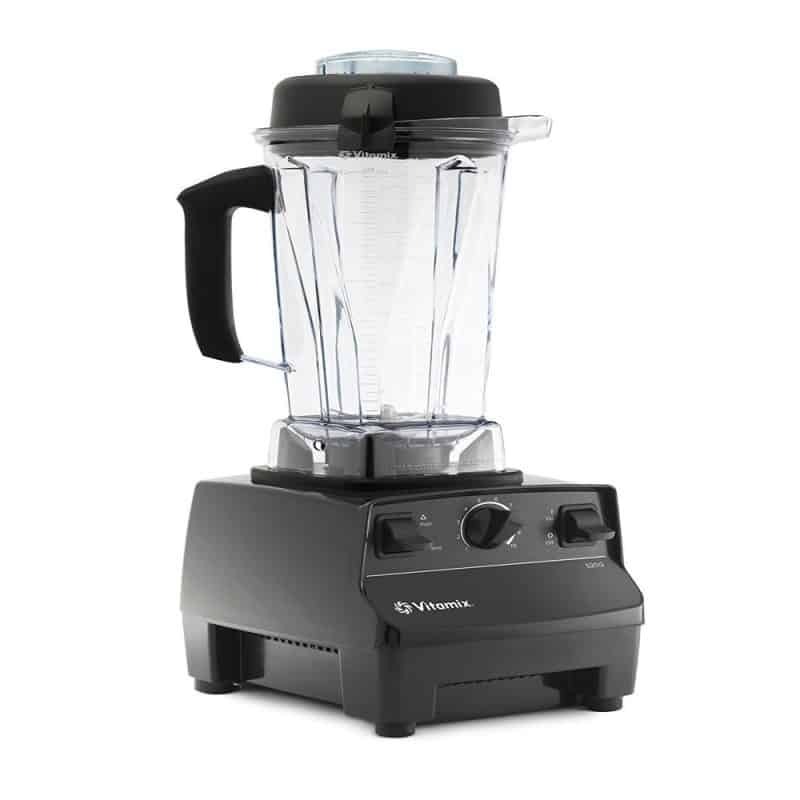 Featuring variable speed controls that ensure you have complete control over the blend you are making and a large enough Vitamix 5200 container for blending large amounts of blend at a go, this blender isn’t the cheapest but it combines a blend of value and remarkable features to give you the best of both worlds. Reviewers particularly like it because it is just as powerful as some of the more expensive Vitamix models and also because it has a classic look that adds a professional aesthetic to the kitchen counter. If you are looking for a cheaper option with the same performance and features of more expensive options, the Vitamix E310 Explorian blender is worth a closer look. Available in 3 different colors, this popular high-performance machine provides excellent productivity and remarkable results. 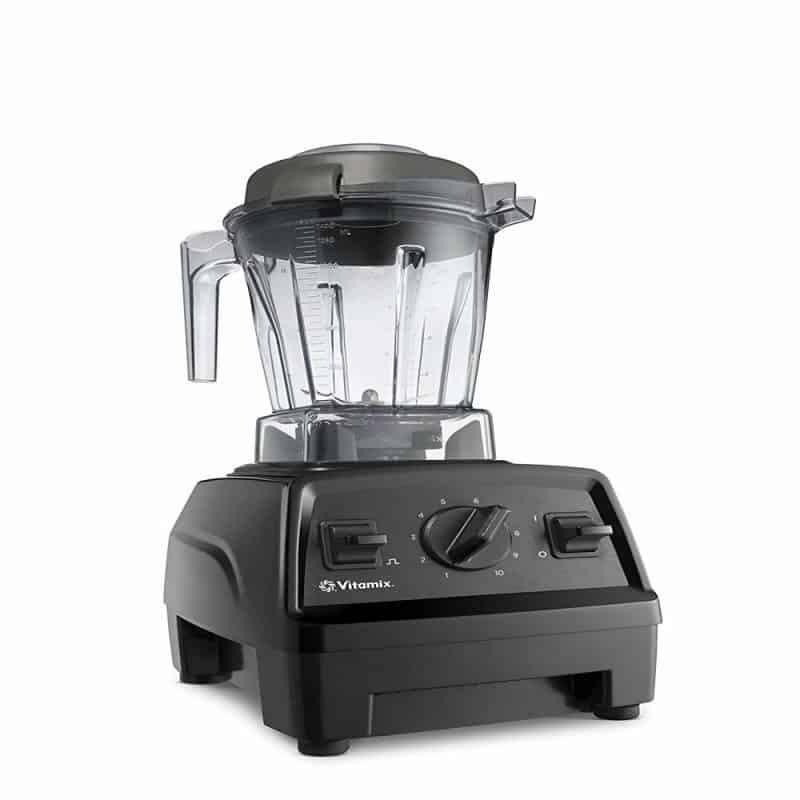 Aside from having variable speed control settings that help you achieve the smoothest purees the E310 Vitamix blender has a 48-ounce container that is ideal for when you want to make medium to large sized batches of puree. Now, this is a bit smaller than the Vitamix Pro 750 blender or the Vitamix 5200 blender but it packs a punch. 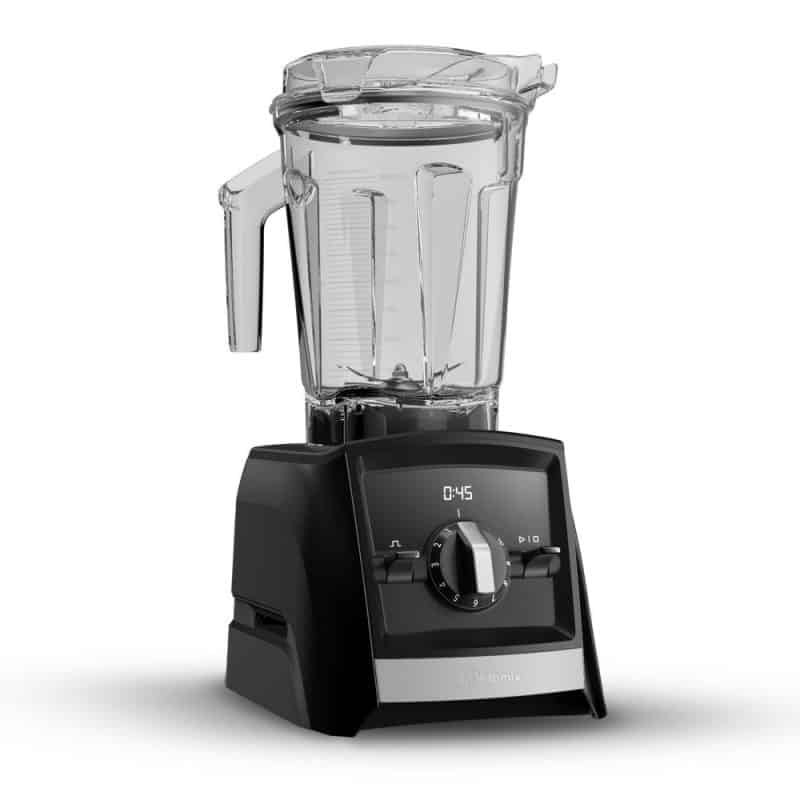 The only downside to the Vitamix E310 blender is that it doesn’t have an automatic touch screen setting and so it would only appeal to you if you prefer the manual switch experience instead. As it turns out, you don’t have to break the bank to get a decent Vitamix blender. You can get the perfect mix of power and speed complete with an attractive aesthetic to brighten up your kitchen counter. This two speed Vitamix TurboBlend blender comes with a 64-ounce container that is ideal for medium to large batches of puree and 3-inch wide laser cut blades that break down chunky ingredients into a consistent sweet tasting blend. And when they say that the devil is in the details, well they must have been referring to this bad boy seeing as there are at least a dozen tiny details that go into the design of the aircraft grade blades to ensure you get a consistent blend every day. Just one problem though! While it blends exceptionally fast and produces larger portions of blend compared to other models in this price range, it is a bit noisy which can be a deal breaker if you are more of a peace and quiet kind of person. Laser cut stainless steel blades that ensure a consistent blend. A self-cleaning function that makes cleaning up quick and easy. 2 peak horsepower motor that propels the blades to blend even the toughest of ingredients. A large 64-ounce container that can blend several cups of puree at a go. If you are looking for an exceptional blender that provides unmatched performance at a much lower price tag, the Vitamix S- Series personal blender is it. It has a brushed stainless steel finish that makes it the perfect kitchen centerpiece even when not in use and has four Vitamix pre-programmed settings that take the guesswork out of blending. In addition, it has a variable speed control that achieves a smooth textured blend and a spill-proof vented lid with an ergonomically designed removable lid plug that allows you to add more ingredients into the blender as you blend. And that’s not the last of it! 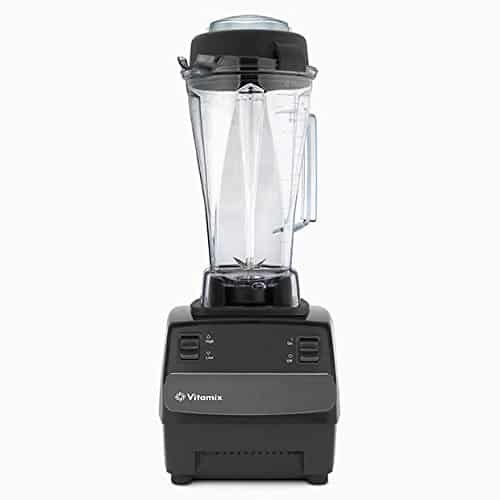 The Vitamix S-Series also has laser-cut blades that deliver consistent blends and BPA free 20 ounce and 40-ounce containers that make it fairly easy to blend thick, frozen and hot mixtures easily. Plus, it comes with a personal blending cookbook that includes some great recipes that you should try out. Variable speed control that gives you total control over the blend. Compact size that doesn’t take too much counter space. Although the Vitamix 7500 costs a little more than most people would ideally pay for, it packs a punch in as far as having remarkable features goes. Featuring a variable speed control that helps you achieve a smooth blend texture and a pulse feature that chops coarse ingredients into a smooth puree, this intuitively designed blender is all you need to prepare a great Vitamix pre-workout smoothie. This incredibly designed beauty also features a 64-ounce container that helps you whip up large batches of beverages and ergonomically designed blades that turn otherwise coarse ingredients into a smooth fine puree. Ten-speed controls that give you total control over the blend. A self-cleaning function that makes cleanup an easy and seamless task. A large 64-ounce container that accommodates large batches of puree. Equipped with a pulse feature and a variable speed control, the A2300 gives you total control over the blend so that you can adjust the texture of every blend to your preference. 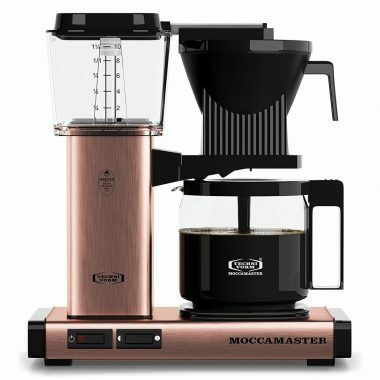 Perfect for both novice and experienced blenders, this easy to use model has built-in wireless connectivity that sets it apart from its competitors and a self-detect technology that automatically adjusts the settings accordingly. As an extra perk, the blender comes with 17 blending programs and over 500 recipes from Vitamix that you can use to whip up a healthy drink. A digital timer that removes the guesswork out of the process. A large container that accommodates large batches of puree at a go. Eighth on our list is the Vitamix 5300 high-performance blender. Available at a considerably low price point, this high-performance blender offers power and convenience with a high power motor that blades through even the coarsest of ingredients to produce a smooth textured blend. 2 HP motor that pulverizes coarse ingredients into a smooth blend. Variable speed control that allows you to adjust the speeds to get the texture you want. A large container that accommodates large batches of blend at a go. According to Vitamix, Vitamix is a brand that helps fuel passions. 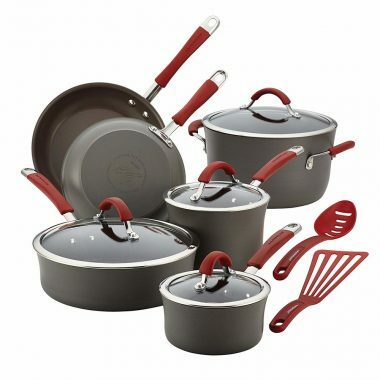 A trusted brand that produces high-quality kitchen gadgets for the kitchen gadget whiz. And we have to agree. This is also true for the Vitamix Ascent A3500 blender. Built with high-quality materials that last you years, this Vitamix A3500 blender is all you need to whip up a great smoothie seamlessly. It has a self-detect technology that automatically adjusts the program settings accordingly and five program settings for complete and total control. In addition, the blender also has a built-in timer that automatically turns itself off when the ingredients are completely pulverized. A programmable timer that prevents you from over or under processing your ingredients. Last on our list is the Vitamix A3300. Costing $498.95, this remarkably functional blender comes with a performance to match its price tag. 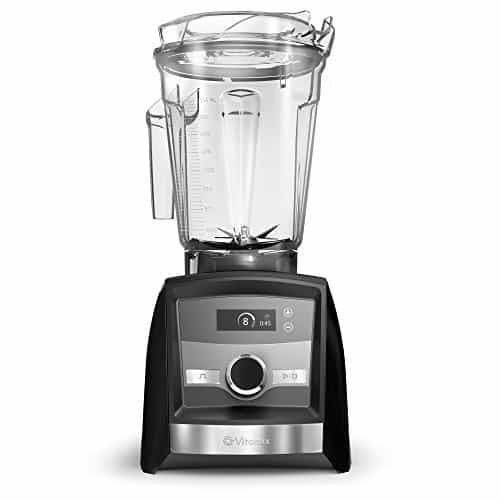 It features a built-in programmable timer that makes it easy to set the blender to stop when the ingredients are completely blended and a smart motor base that automatically adjusts the blending times accordingly. A free cookbook with all the recipes you need to whip up a drink. Vitamix is a blender that can take the place of a juicer, stand mixer and food processor. Which are the Best Vitamix blenders? Though not included, the Vitamix A2500 is another worthy model. We’re talking about an incredibly versatile tool here: it’s makes frozen desserts, ice cream, hot soups, exciting smoothies, tasty purees, and more. You have to pay for that kind of versatility! Keep an eye out for certified reconditioned models – they’re rare, but they do exist. Remember the old adage “cheap is expensive?’ well the same also holds for expensive items. 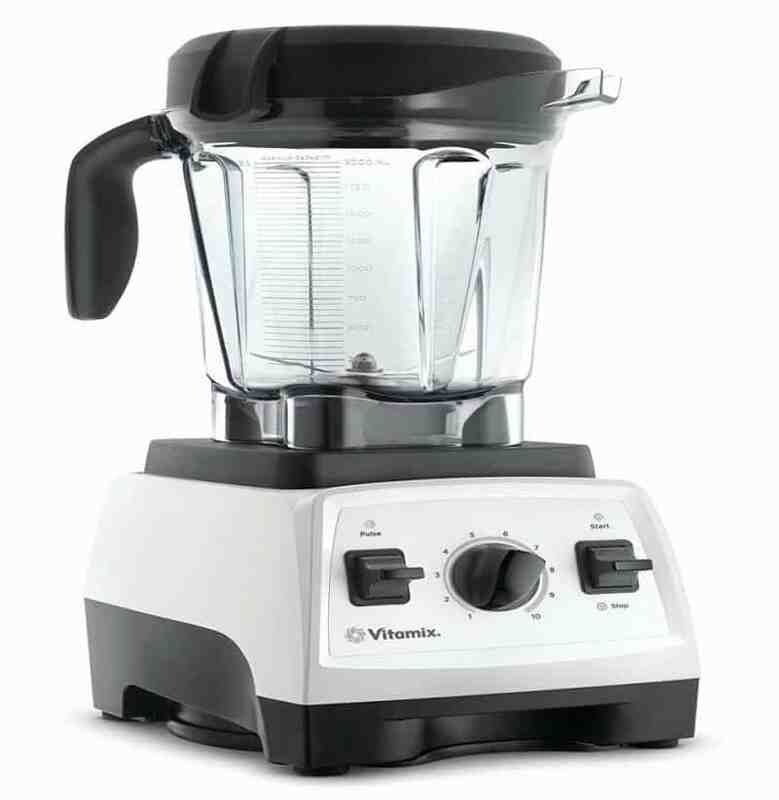 Vitamix is considered the king of all blenders and so it goes without saying that the king comes with a high price tag to match its influence and reputation.